Shinagawa has been a town for travelers since Yedo period, hundreds years ago. Travellers going to Kyoto from Yedo (Tokyo’s old name) or coming from Kyoto used to stop and stay in Shinagawa. So this town is known as the First Stop of Tokaido (the Road to Kyoto. People had to walk 500 km! It took 2 weeks. Hiroshige Utagawa, one of the most famous ukiyoe painters, left pictures of all the 53 breathtaking stops). There is a direct access to Haneda Airport. Tokaido Shinkansen (Japanese super express) takes us to Kyoto in less than 2h and half. I write how to go to every attraction from Shinagawa Station on Tokyo Direct Guide. For example, if you are going to Tsukiji Market, just get on Keikyu Line to Higashi-Ginza Station. Keikyu Limousine buses go to Oimachi directly from Haneda Airport, so it is a town of travelers as well as Shinagawa. JR Keihin-Tohoku Line trains take you important places and hubs in Tokyo. It is easy to go to Tokyo Disney Resort; Take Rinkai Line to Shinkiba and change trains to Keiyo Like to Maihama. I tried one of the tenant restaurants in the ground floor. Takarada Suisan, the sushi restaurant, was beyond my expectations… That’s why I decided to write this. Surprisingly DELICIOUS!! Lunch Set including miso soup and green tea, only 924 yen! Fine and cheerful sushi cooks prepare the sushi plate just in front of me. 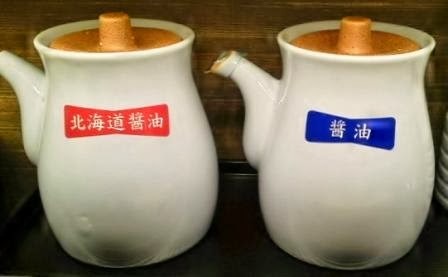 The red blue label says “soy sauce” and the red says “Hokkaido soy sauce” – It reminds me of SOMETHING. 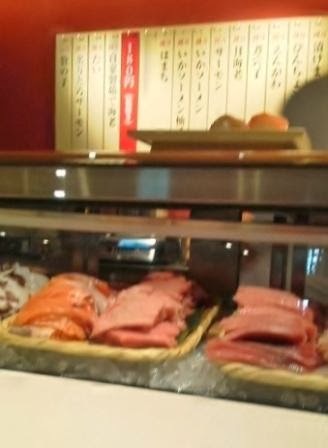 But this time, this sushi restaurant is really from Hokkaido. Plus, Hokkaido soy sauce was so good with its rich flavour! This new restaurant will be a rival of my favorite sushi restaurant. There are other restaurants of Italian, Tako-yaki, Japanese noodles and so on. Actually, I have stayed at Ours Inn Hankyu‘s single room. 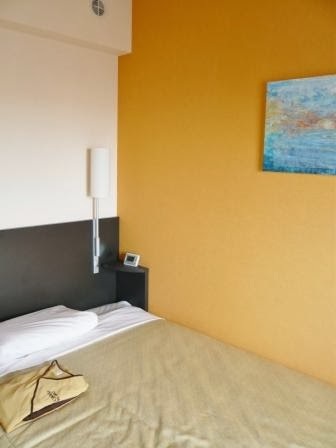 It is a Business hotel, but it was clean and comfortable enough to stay. 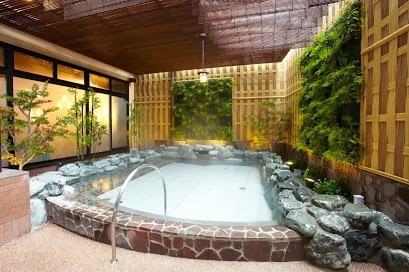 I entered the big spa & sauna bath with a discount ticket (400 yen) directly through the hotel (no worries about rain)! There were 13 kinds of big bathtubs. Amazing!! This is the new building just in front of Oimachi Station. There are always travellers with suitcases around here, going to Hotel Route-Inn, Toyoko Inn and brand new Viainn Tokyo Oimachi. They are also Business hotels not luxury but comfortable enough. I’m going to show the attractions and accommodation around Shinagawa Station. There are excellent hotels with an aquarium and great restaurants. I’m happy if my reviews are helpful for you! The Easiest Guide of Tokyo Game Show – What, when, where is TGS?